The very first step is: When the schedule is released, decide what films you want to see and when. It will be particularly important during single ticket sales that you have a 2nd and 3rd choice as backup. Single tickets sell out fast and many are already sold out when the Single Ticket On Sale day begins, due to package redemptions. The day before Single Tickets go on sale, TIFF.net usually posts a link to an Off Sale page that will show all of the films that have already sold out for all screenings through the package redemption process. This will give you a head’s up as to what will already be unavailable the next day so you can plan for alternates ahead of time if necessary. Single Tickets go on sale Sunday, September 4th 2016 at 9am. 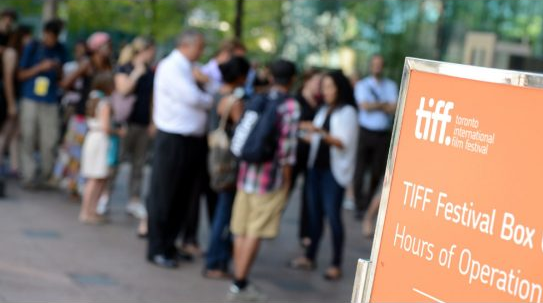 More information about Single Ticket Pricing can be found at TIFF’s ticket page. They have introduced “surge” pricing this year on some screenings. An extra $2-$7 may be applied to the ticket price if the screening you are trying to purchase tickets for is in high demand or during a primetime slot on the opening weekend. People will often camp out overnight in line. Perhaps you have a slightly better chance if you’re at the front of the line in person but people will be hammering the online box office from home at 7am so it will still be difficult. The Festival Box Office is located at Metro Centre, 225 King Street West from August 23-September 18. TIFF has partnered with Ticketmaster this year so how the process will work is still a bit of a mystery. It’s an entirely new setup that we haven’t experienced yet so hopefully this information is close enough to the actual process that it will be at least somewhat helpful. You’ll likely have to first create an account if you don’t already have one. You will still likely be taken to the Virtual Waiting Room (or, the Virtual Torture Room). In previous years, you were placed in a queue with a countdown clock. The way the waiting room system worked seemed to be somewhat arbitrary. Sometimes you have a really long countdown; sometimes you have a really short one. It is also sometimes possible to hit refresh and get bumped up in the line with a shorter countdown even though they tell you not to because you’ll lose your place in line. Once you have gotten through to the actual online box office, you will likely click on ‘CLICK HERE TO PURCHASE’ under TICKETS + JOIN + DONATE at the top of the screen. After this hopefully it will intuitive. You may have to click on “Individual Tickets” or “Single Tickets” in the left hand column to indicate that’s the action you want. You should eventually be presented with a full listing of all the festival films. From what we’ve heard, they will be listed by date. You will go through and find the films you want. Hopefully any that are already sold out will have an “Off Sale” next to it to you help you identify which ones are unavailable. To choose a film, click the SELECT button next to the film you wish to add. That film will expand to allow you to select the number of tickets you wish to add, then click SAVE. Continue this process until you have selected all the tickets you wish to purchase. Once you’ve chosen everything, click FIND TICKETS at the bottom of the page. At this point, if any of your selections are sold out, you should get a prompt to tell you that inventory is unavailable. You will need to make an alternate selection or remove it from the list you’ve compiled. Once you’ve selected films that are all available, you will be taken to a page to review a summary of your selections. Once you have reviewed your selections, hit ADD TO CART. Please note that a countdown clock will have started at this point. You will have a limited time to complete your transaction. Also, your selections are not locked for you until you’ve hit ADD TO CART so it is recommended you move as quickly as possible. You will then proceed to check out and complete your transaction. We have heard instances of people having technical trouble with the new ticketing site this year but it seems to have gotten better and hopefully things will be running smoothly come Single Ticket Day. Just be mentally prepared that the entire endeavor could blow up in your face at any moment. Every year brings tears and screams of frustration when trying to buy tickets. Ticket packages are pre-determined groupings of tickets that are purchased in advance of the festival, and in advance of even the schedule and film announcements. They come in a wide variety, covering various themes and selection types. They go on sale mid-July each year, just before film announcements begin. They are only available for a limited time and the Premium ones do sell out quickly. 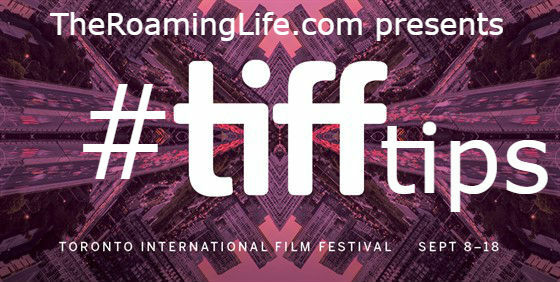 To purchase a package, click on the one you are interested in on the Tickets page on TIFF.net. You will be sent to an online box office. The new ticketing system was put in place after package sales started so it is unclear at this point what the process is. You will follow the process in the online box office through to check out and purchase your package. You will receive a confirmation email for your purchase. You are not selecting films yet at this point. That will come in August or September. In the meantime begin researching the films as they are announced and start making a short list of the ones you are interested in. You will need to know what you are aiming to see. If you purchased a My Choice package, you will receive an email in mid-August that will contain what is called your Film Selection Window time and date. For 2016, this was on August 22nd. This is a randomly assigned window during which you will be given access to the online box office to select your films. This email will come with information on how to login and what the redemption process will be. YOU NEED TO KNOW EXACTLY WHICH SCREENINGS YOU WOULD LIKE TO ATTEND WHEN YOU LOG IN FOR YOUR SELECTION WINDOW. Ideally, you will have decided which films you would like to see before the full schedule is released in late-August. For 2016, the schedule was released on August 23rd. Follow our Complete Beginners Guide for some tips on how to choose films, and help with making your ideal schedule. You will have approximately one week to decide on your ideal schedule before you can select your films. When your Selection Window time arrives, proceed to the online box office using the information in the email you received and login. Once logged in, click on ‘CLICK HERE TO PURCHASE’ under TICKETS + JOIN + DONATE at the top of the screen. In the left hand navigation bar under REDEEM MY PACKAGE, select the Package Type you would like to redeem. Once your package is selected, you can begin selecting from eligible TIFF 2016 titles. All films will be listed by date, so you will need to scroll through to find the films you wish to select. To choose a film, click the SELECT button next to the film you wish to add. That film will expand to allow you to select the number of tickets you wish to add, then click SAVE. Continue this process until you have selected all the tickets you wish to redeem from your Package. If you are selecting vouchers, please add the remaining balance of your package in vouchers from the Voucher Option at the bottom of the page. Once you’ve chosen everything, click FIND TICKETS at the bottom of the page. This opens a new page where you can review your selections. Please note the time clock on this screen. We recommend moving quickly as your selections are not locked until you have added the screenings to your cart. Once you have reviewed your choices, click ADD TO CART and proceed to checkout. All selections are made in real-time, based on available inventory. You will have a limited time to check out with your cart. The clock will appear on the screen as you redeem to note your progress. Upon checkout you will receive a confirmation by email that lists your films and/or ticket voucher(s). If you do not use all of the available tickets in your package, you must select vouchers to balance your Package. Vouchers can be redeemed at your Festival Box Office or online through your TIFF Account Manager starting September 5th. After checkout you will not be able to log back in to make any changes to your package until September 6 (September 5 for TIFF Members). After that date, you can exchange your package tickets up to 7:00PM the day before the screening you wish to exchange. At checkout, you will need to select your delivery/ticket pickup method. This year, with TIFF partnering with Ticketmaster, Mobile, Print-at-Home Delivery, and digital transfer to your guests are now options. When you complete your order, you can choose from WILL CALL, MOBILE, or PRINT-AT-HOME ticket options. WILL CALL: Select this method to pick up your package in hard tickets at your Festival Box Office starting September 6 at 9:00am (September 5 at 9:00am for TIFF Members). You must present photo ID, and credit card at the Box Office. MOBILE: Select this method to view and present your ticket to be scanned from a mobile device. Log into your TIFF Account Manager on a mobile device to view all of your tickets attached to your account. You can also digitally transfer tickets to your guests using this method. PRINT-AT-HOME: Select this method to receive your tickets as PDF files attached to an email. This allows you to print your tickets at your convenience from your home printer. Each ticket must be printed on a separate page. Once you’ve selected a Delivery Method, continue until you reach a screen with your Account Number and Confirmation Number. This confirmation will also be sent to you via email. Once you have received those numbers, your order is confirmed! If you purchased one of the TIFF Choice packages, you will be receiving an email [2016 date September 3rd] that will contain the schedule of films that have been selected for you. It is unclear to us as to what the pick-up method is but instructions should be provided to you in your email correspondence. Starting September 6th, 2015, you will be able to go to the Festival Box office to pick up your tickets (either from your Package or ones you purchased over the phone/online during Single Ticket Day), if you selected the Will Call method of delivery. It would be wise to wait a day or two for the initial crowd to die down to pick up your Tickets. The line to pickup tickets is always long in the evening as everyone gets off work so if you’re able, it might be easier to go on an off-hour during the day. When you arrive at the Festival Box Office to pick up your tickets, find a volunteer and ask them what line you should be in. Tell them how you purchased your tickets (Ticket Package, Online Order, etc). The lines will likely be divided by Members and Non-Members. In previous years, ticket package pickup was in the lower level of Metro Centre (down the escalator just inside the doors of where the Box Office is). Pro-Tip: If you purchased single tickets and are unable to make it to the Festival Box Office in advance before the start of the festival – you can pick up all your tickets on the day of your first screening, at your first venue’s box office. These box offices open one hour before the first screening of the day, which is usually 7am – 8am but sometimes a little later. However, you will not be able to do any exchanges at the venue box-offices! They will print out all of your tickets for you. This is a great time-saver! Bring all of the following, regardless of where you are picking up your tickets: a copy of the confirmation number you received at the end of your package fulfillment (if you purchased a package) or single ticket purchases, a printout of your confirmation email for your purchase order or ticket selections, photo ID, and the credit card you used to purchase the package. If you are unable to secure tickets to the film you want with your package, or when single tickets go on sale September 4th, there is always the option of checking again at 7am on the online box office, or by phone, on the day of the screening you want to attend. Often package holders will have traded in or exchanged tickets for other screenings so all of those tickets that were returned will then go back on sale on the day of the screening. We’ve had success doing this a few times over the years. If the film you want to see is still listed as Off Sale on the morning of the screening, there is one more option to try called The Rush Line. It’s called the Rush Line because it moves fast. It is cash only, so be ready to move quickly. If this is a Regular screening, the ticket will be $20, if it’s a Premium screening, it will be $40. Once inside the theatre, the task begins of finding one of the few empty seats. This can be literally anywhere in the venue (usually the front row, or the very back). Be quick to get into your seat and try not to disrupt the other audience members as little as possible. Stay quiet and turn off your phone, especially if the movie has already begun.